Artistic Director, La Scala Ballet. Frederic Olivieri was born in Nice where he studied at the Music and Dance Conservatoire. In 1977 he won the first prize at the International Ballet Competition Prix de Lausanne and entered the ballet school of the Op_ra de Paris. In 1978 he was invited to join the company of the Op_ra de Paris under the direction of Violette Verdy and then under the direction of Rosella Hightower. 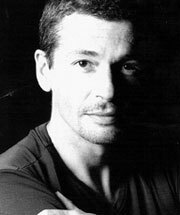 Olivieri was nominated soloist in 1981, when Rudolf Nureyev took the direction of the ballet at the Op_ra de Paris. In this company Olivieri danced the main parts of the classical repertoire, many invited choreographers chose him for their productions, amongst them Maurice B_jart, John Neumeier, Kenneth MacMillan, Alwin Nikolais, Alvin Ailey, Paul Taylor. In 1985 by invitation of Ghislaine Thesmar and Pierre Lacotte he participates in the founding of the Ballets de Monte Carlo where he becomes _toile, title given to him by the Princess Carolina of Monaco. On the stage of the Ballets de Monte Carlo he danced the major parts of classical, neoclassical and contemporary repertoire and creations dedicated to him by Uwe Sholz, John Neumeier, Roland Petit, and in many tours in Europe, Japan, USA, Russia, Canada. In 1992 the Prince of Monaco Renier III honours him Holder of the Order for cultural merits. As invited star he dances in various international companies, takes part in gala concerts and festivals. In 1993 John Neumeier invites him to the Hamburg Ballet but soon due to an accident he has to stop his brilliant career of a dancer. Since 1996 till 1998 he works as a ballet master and assistant to the choreographer in the Maggio Danza company, where he also created the choreography for Orpheus (Monteverdi/Ronconi). In 1998 he works as ballet master at Zurich Ballet under the direction of Heinz Spoerli. In 1999, for the Teatro Comunale in Florence, he creates the choreography for Aida (Verdi/Mariani) In 2000 he becomes the Artistic Director of the Maggio Danza company and in September of the same year he is appointed principal ballet master of the ballet company of the Scala Theatre. In July 2001 he was charged with artistic direction of the Ballet and in January 2002 he officially was appointed the Artistic Director of the Scala Ballet. From April 2003 he is also Director of the Ballet department of the Academy for Performing Arts of Teatro alla Scala.